112 years ago, on April 17th a record number of immigrants passed through Ellis Island, looking for a better life for their families. 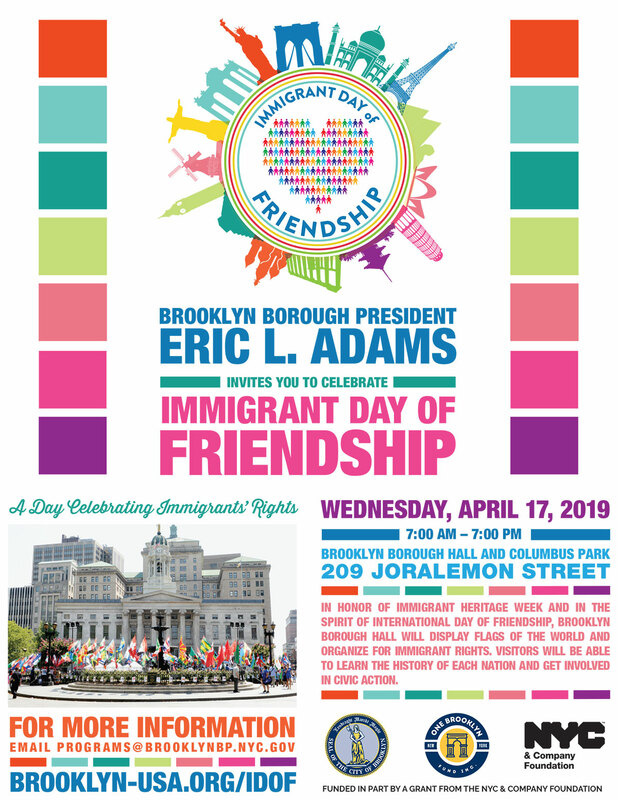 In honor of Immigrant Heritage Week and in the spirit of International Day of Friendship Brooklyn Borough Hall will display the flags of the world around the gardens of Columbus Park Plaza. Visitors will be able to learn the history of each nation and get involved in civic action and organize for immigrant rights. nternational Day of Friendship is celebrated around the world as countries partake in a variety of events to promote peace and unity. With nearly one million foreign-born residents living in Brooklyn, Borough President Eric L. Adams recognizes that Brooklyn is a diverse melting pot.